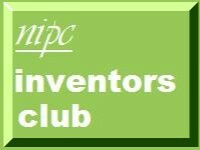 We are delighted to announce the launch of Liverpool Inventors' Club. This is a joint venture between Michael Sandys (commercial partner of Kirwans who is qualified both as a barrister and solicitor and who previously practised with Cobbetts LLP and Halliwells) and me. We have had a lot of support and encouragement would like to thank in particular Ruth Grodner of the Liverpool Patent Library, David Gilmour of Potts Kerr and Jo Pritchard of John Moores University.Our first meeting will take place at Liverpool Central Library at William Brown Street, Liverpool, L3 8EW, Tel 0151 233 5835 Email nipclaw@yahoo.co.uk on Monday 27 March 2006 from 16:00 - 18:00. Admission and refreshments will be served courtesy of Kirwans and nipc. To kick off our programme, we have an excellent guest speaker in Peter Raymond MBE who gave a first class talk to the Manchester branch of Ideas 21 on 21 Feb 2006. He has an impressive track record of success in innovation working with industry, universities and the public sector. He knows Liverpool well and will have a lot to tell us. Space in the library is likely to be limited so call Ruth Grodner on 0151 233 5835 well in advance to avoid disappointment.